The insights in this article originally appeared in Field Agent's special report, "The Digital Shopper: Insights into Today's Most 'Connected' Customers." You can still claim your free copy of this popular report! 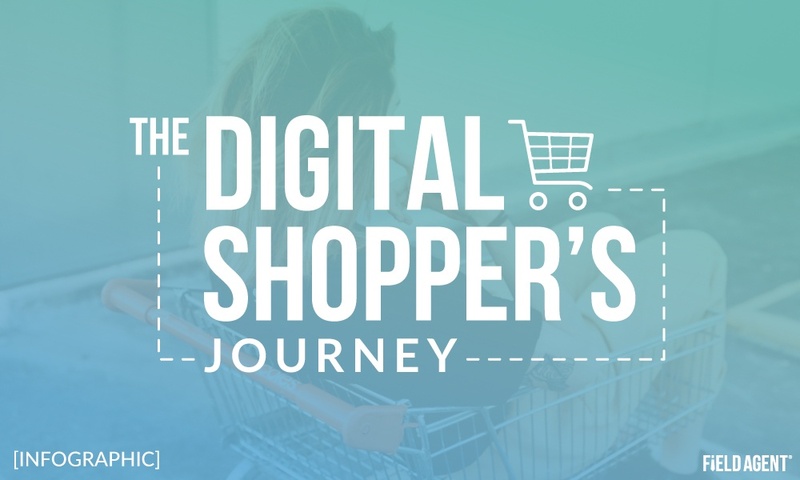 For all the attention paid to “the shopper’s journey,” precious little is actually known about the digital shopper’s journey, or those who rely on ecommerce to satisfy their "everyday" needs for groceries and household consumables like cleaning, personal care, pet, and baby supplies. In the colorful infographic below, Field Agent maps out this journey from start to finish, highlighting some of the key decisions and actions of individuals shopping online for groceries and household consumables. This map is based on post-shop surveys with 451 digital shoppers. Each participant completed this survey immediately after buying at least $30 of groceries/household consumables from an online retailer for local pickup or in-town delivery. Field Agent scrutinized each agent submission to ensure participants had just completed an “online grocery-shopping trip.” To qualify, participants were required to submit screenshots/photos showing what they purchased, when they purchased it, and how much they spent. Want a behind the scenes look at how Field Agent conducted this study of digital grocery-shoppers? Subscribe to the blog, and you'll be among the first to see it!